For our summer vacation, my wife and I opted to take a road trip. The end-point of our drive would be Bartlesville, Oklahoma, but more on that later. It worked out to be a 67 hour drive, round-trip. 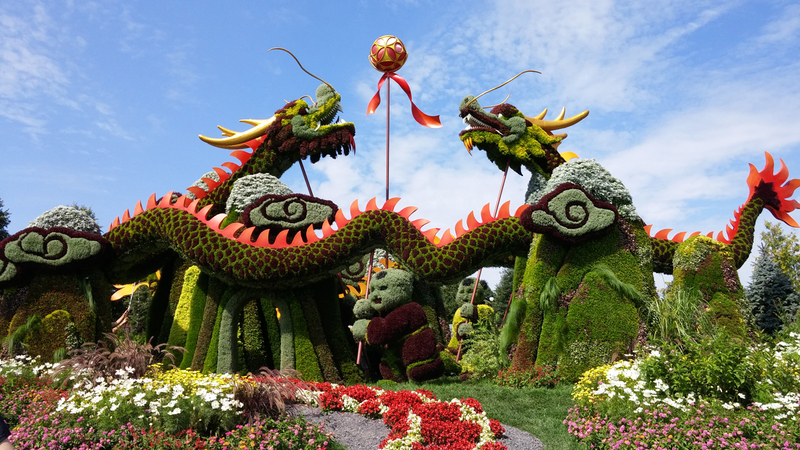 We left on August 13th and headed first to Gatineau, QC. This was the longest day of the entire 11 day trip, with about 11 hours of driving scheduled to get us to Gatineau. We were okay with that as we would be spending two days at our first destination. Gatineau is where Isabelle’s 2 year old goddaughter, Elise, lives. We spent two nights at the Mallet residence, which consists of mom, dad, Elise, and two newborn twins. Following the birth of the twins earlier this year, we knew that the family wouldn’t be coming back home during the summer, so we opted to go to them instead. It was a fun, but eye-opening experience. I cannot fathom having three children that age – pure chaos. But somehow, Joline and JF make it work. I have to say that I truly admire their ability to manage through all of this. Our next stop was Niagara Falls. This was Isabelle’s first time visiting the Falls. I had been once before when I was around 7-8, but in reality, I didn’t recall much. The only memory I have is talking my 2-3 year old brother out of taking a ride in the giant Ferris wheel, telling him that he’d be too scared. So he stayed on the ground with my aunt, and the rest of the family went up. 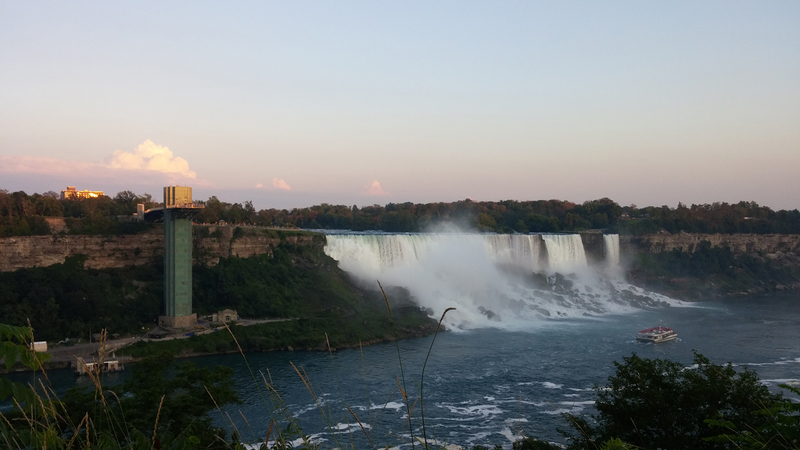 We opted for a slightly cheaper hotel, which also meant that it was a bit further out from the Falls themselves. 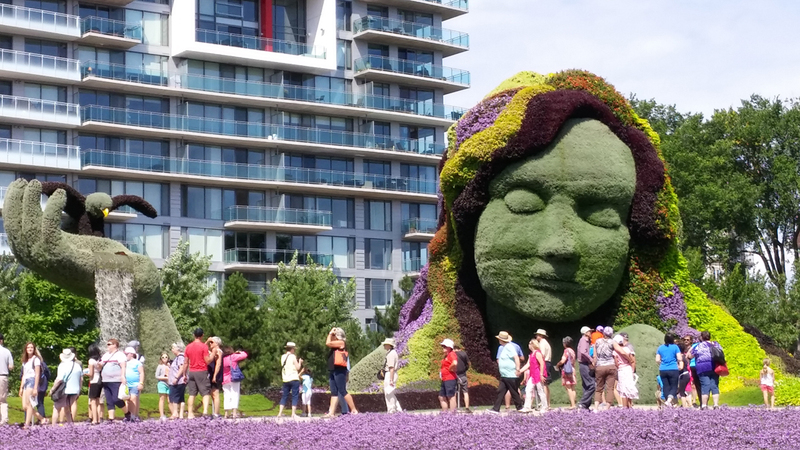 After checking in, it turned out that we were a 45-minute walk away from the downtown core. Rather than drive and pay for parking, we opted to walk. The distance was nothing, but the neighbourhoods were a tad on the sketchy side; until you fell into the entertainment district. It was like night and day. Suddenly, everything was touristy and beautiful. Though I’ve never been, I would liken this block or two to the Vegas strip. 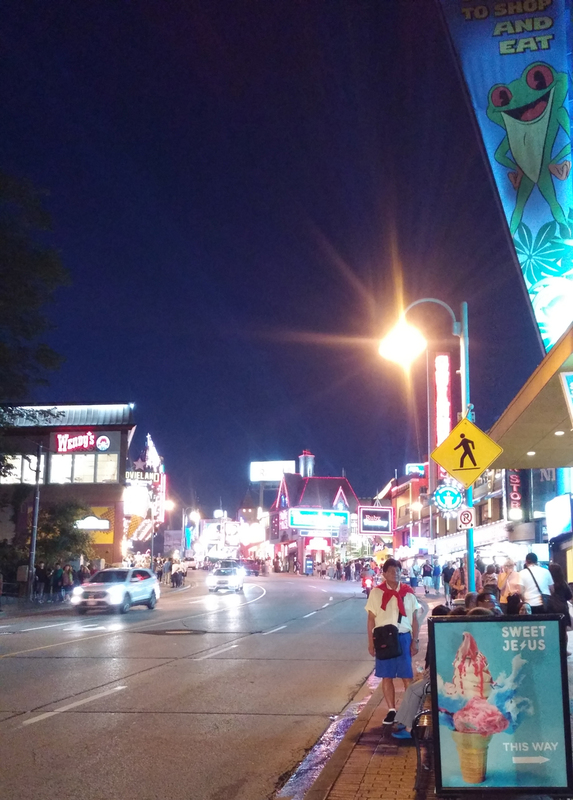 Colourful neon lights, crazy signs and buildings, and gift shops/tourist traps galore! 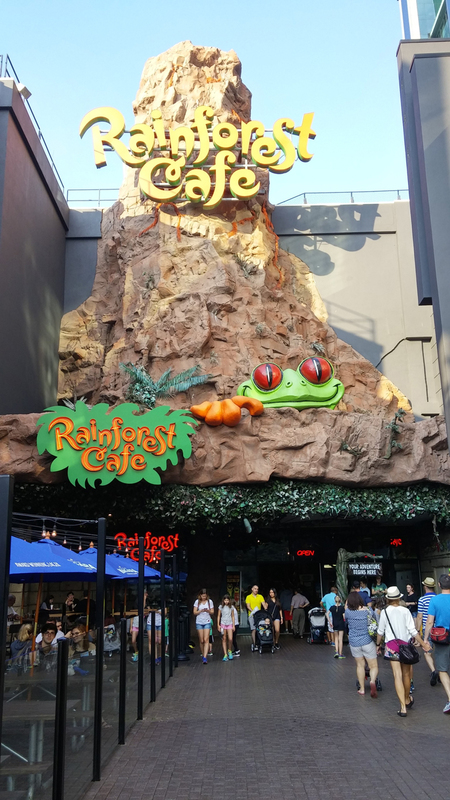 We strolled around for a bit, and then headed to the Rainforest Café for supper. We had been to the restaurant before while in Disney World last summer, so it was a little touch of Disney for us. Following dinner, we made our way to the Falls. What a sight to behold. 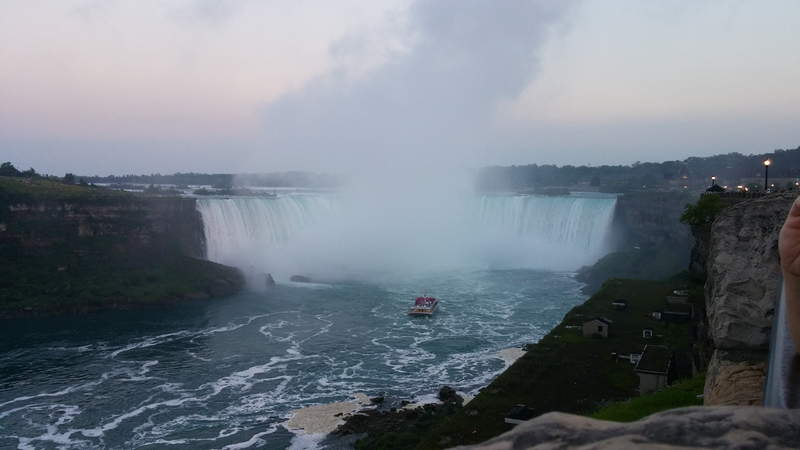 Both the American Falls and the Horseshoe Falls were breathtaking. 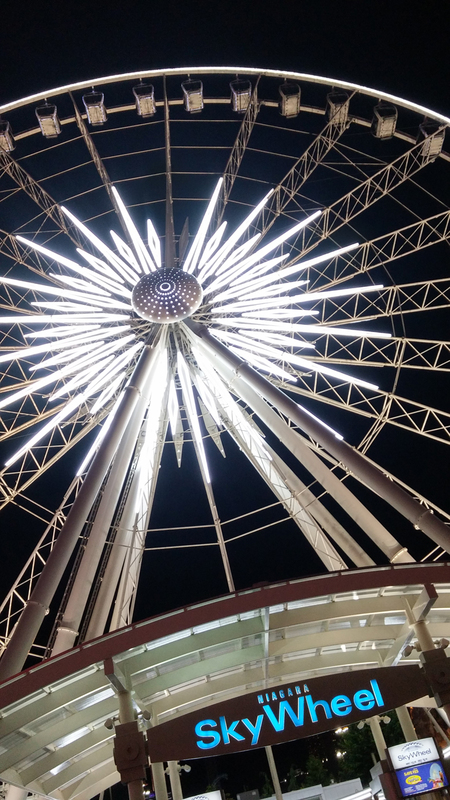 We reveled in the natural beauty that is the falls for a while, and then headed for the Niagara SkyWheel, the Ferris wheel that I previously mentioned. The timing was nearly perfect. As we got in our gondola and started to rise, the nightly fireworks display over the Falls began. Our view was partly obstructed by the condensation all over the windows of our gondola. The A/C was cranking and it was quite warm out… a perfect combination for foggy windows. Despite this, we still managed to see some of the fireworks show. The night ended with a nice 45-minute walk back to our hotel. The next morning, we hit the road and made our way into the US. After a full day of driving, we stopped to sleep in Terre Haute, IN and were again on the road the next morning. 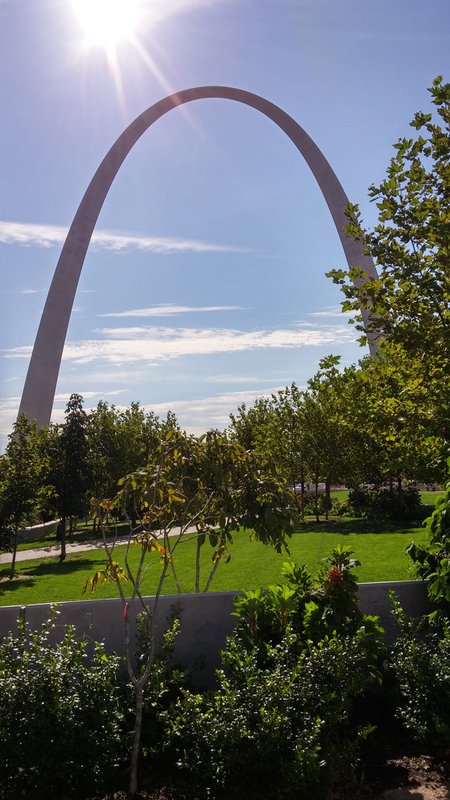 Our first way-point was a short stop in St. Louis, MS to visit the Gateway Arch. 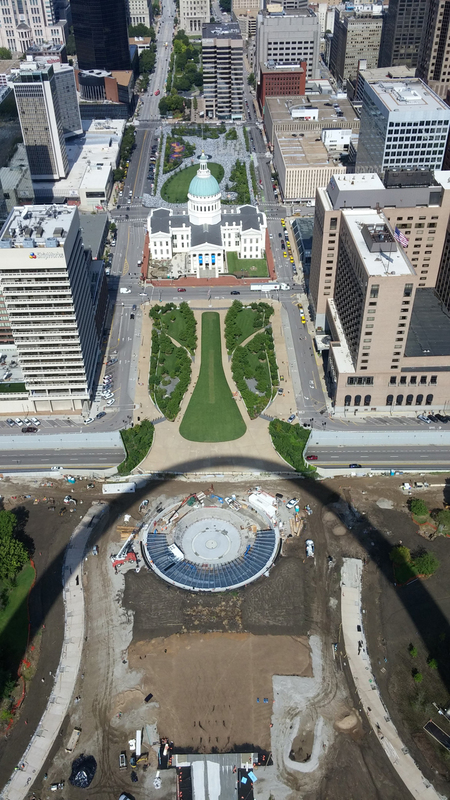 As many times as I’ve seen images of the arch, they do not do it justice. You don’t quite realize the size and magnificence of it until you see it in person. The ride up is also something to experience. 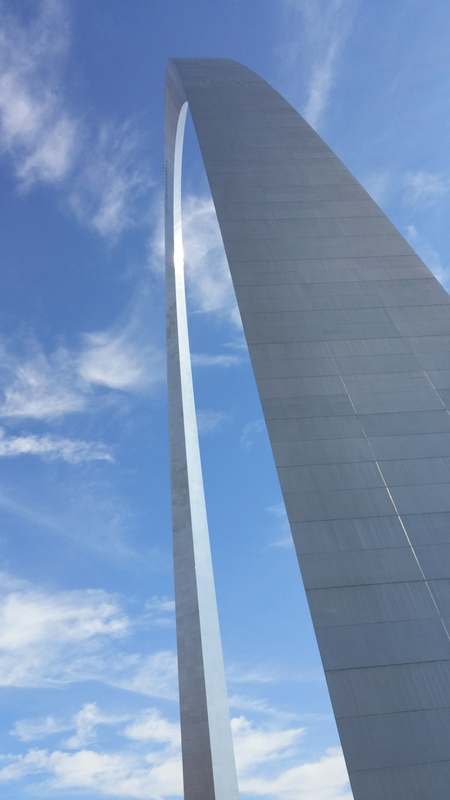 Tiny little 4′-high elevator cars that get righted by gyros systematically as you ascend the arch. 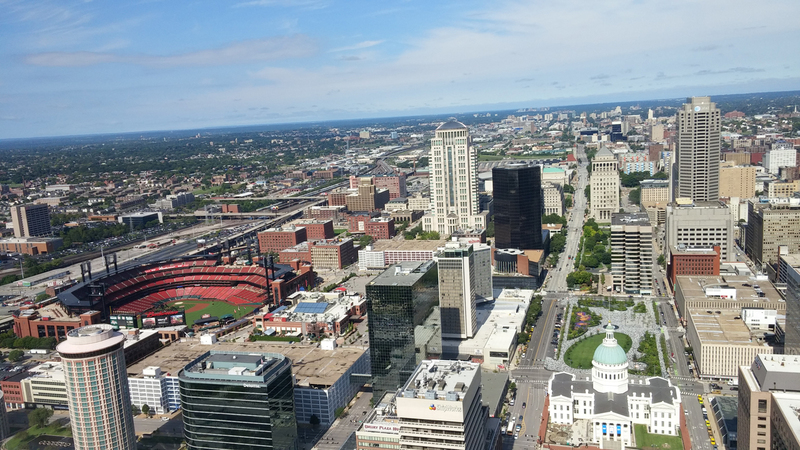 Once at the top, you can look out onto the downtown core on one side, and the Mississippi River on the other. A beautiful vantage point. Getting back on the road, we started noticing billboards at regular intervals on the highway that would catch our eye. 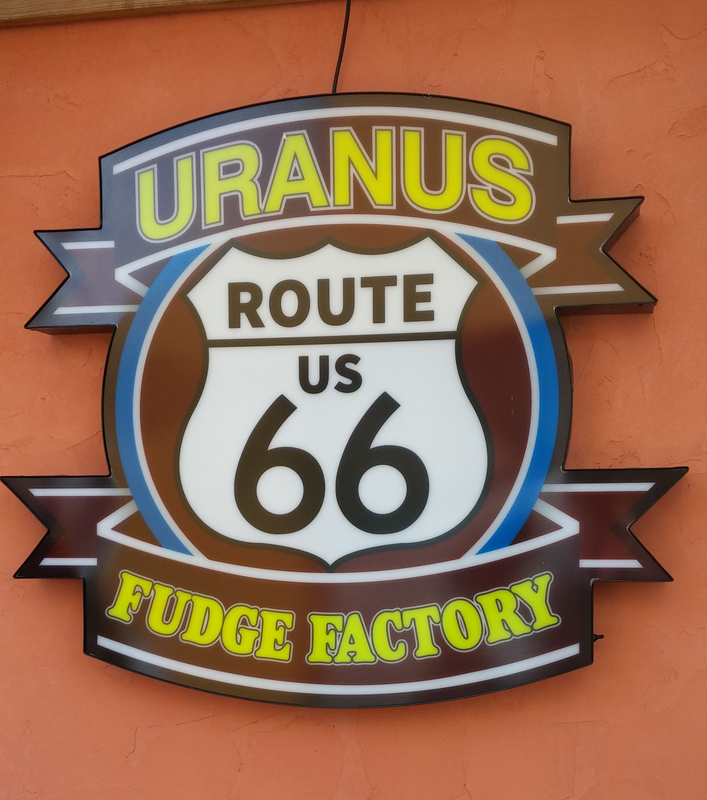 The first one said something about the Uranus Fudge Factory. 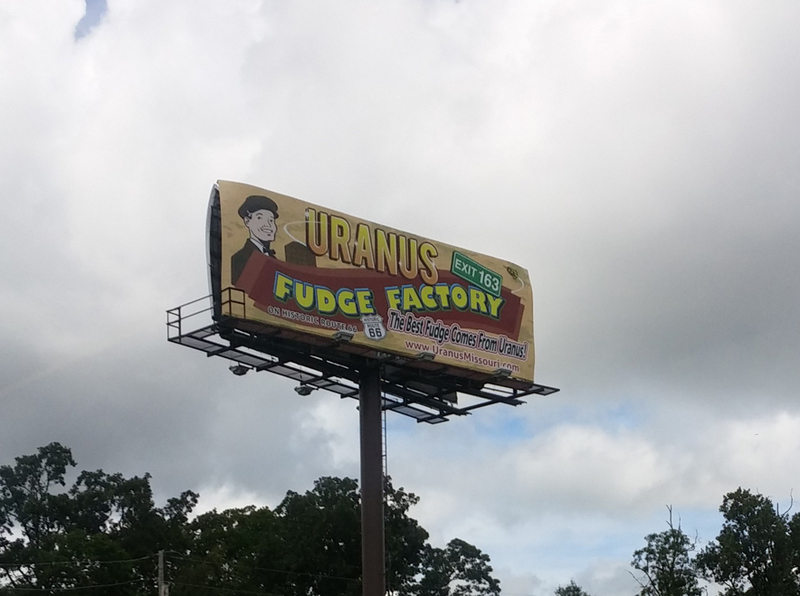 A few miles down the road, another billboard stating that “we’re having tons of fun in Uranus.” And another few miles down the road, the boast of “the best fudge comes from Uranus!” By this point, I needed to stop. It didn’t matter how horrible this place was, it was designed by people like me. And stop we did. 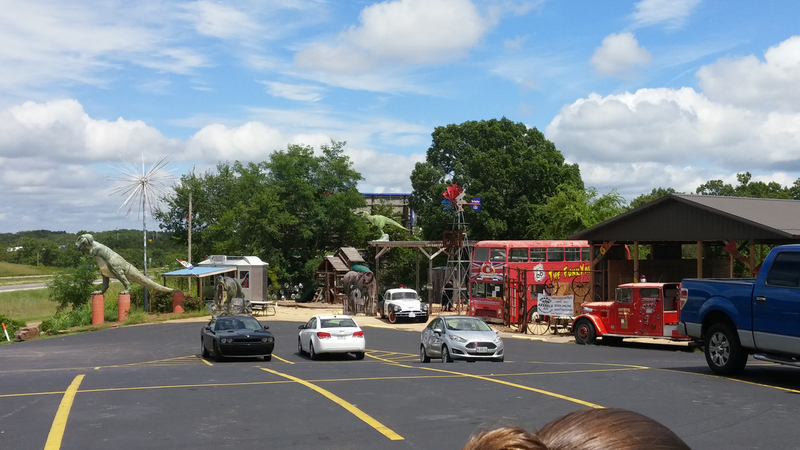 This cute little roadside destination following the old Route 66; the pure definition of tourist trap. But oh so fun! 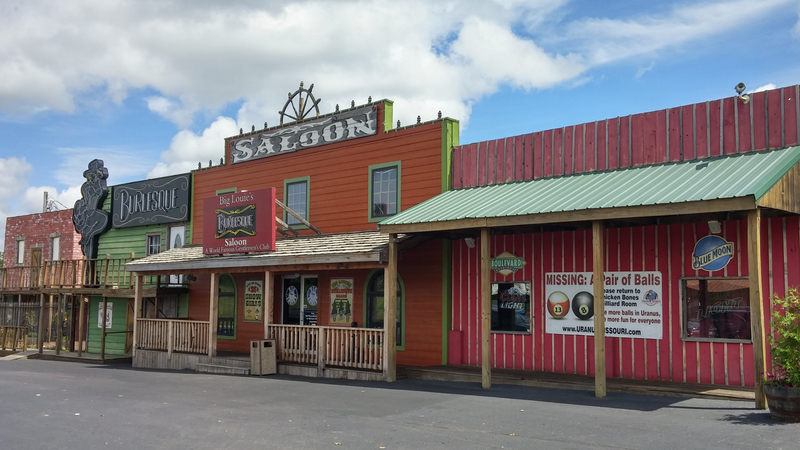 The location consisted of a few interconnected buildings – a bar/grill, a tattoo parlor, a gun shop and the Fudge Factory & General Store. The inside of the Fudge Factory was something right out of a PT Barnum tent. 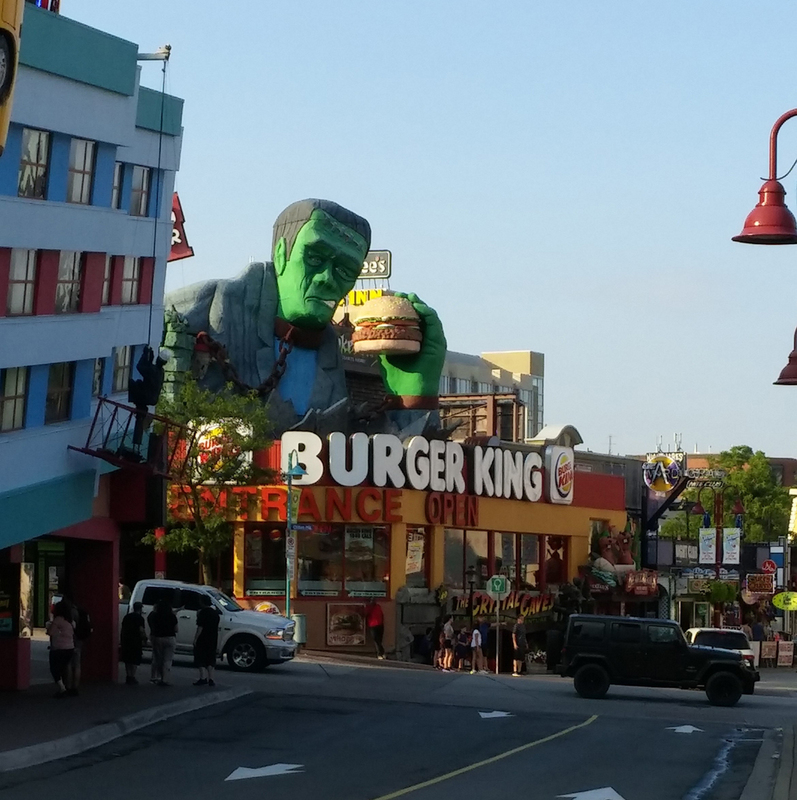 We got back on track and eventually came across another roadside stop – Redmon’s Candy Factory and the World’s Biggest Gift Shop. 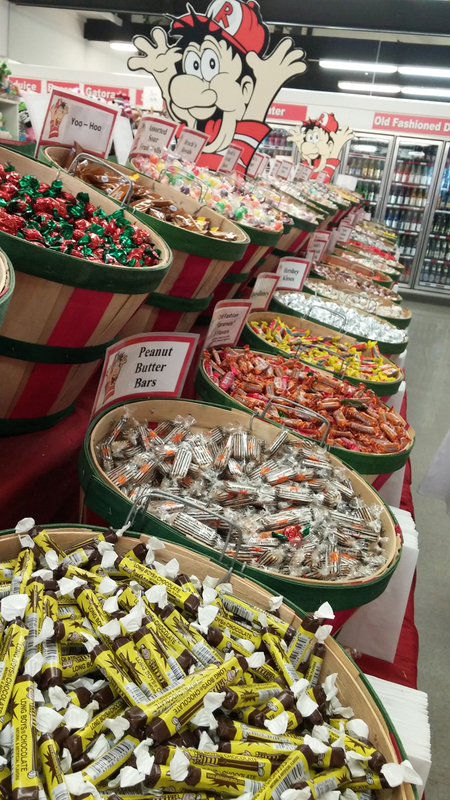 The Candy Factory was littered with lines of baskets of candy of all sorts. A diabetic’s dream. 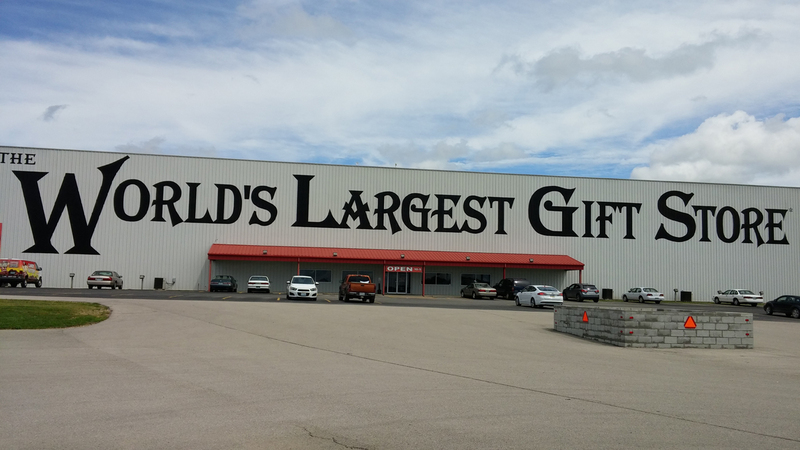 While we didn’t buy anything here, we did take a peek at the World’s Biggest Gift Shop out of sheer curiosity. Inside we found row upon row upon row of gifts of all shapes, sizes, and configuration. Clothing, toys, books, decorative items… you name it, they probably have it. My only purchase in the end was a Route 66 t-shirt and a couple of Golden Girls Funko Pop figurines. Finally, we arrived in Oklahoma. The drive to Bartlesville was almost complete. We checked into our home for the next two days, the Hilton Garden Inn Bartlesville, and then proceeded to walk around the downtown to grab some supper. Despite the fact that it was around 6:30PM on a Thursday night, there was no one around. The downtown was empty, with the exception of a few restaurants and bars. We settled on a place called Frank & Lola’s. It was jam-packed! We ended up waiting a good 20 minutes for a table to free up, but it was worth it. The food was delicious and the service friendly. We then headed back to the hotel and called it an early night, as we were excited for tomorrow… the real reason we had driven all this way. Tomorrow, we were visiting The Pioneer Woman’s Mercantile!